Late Sooren Alexander perhaps is one of the most influential individuals in modern Assyrian folkloric and pop music. 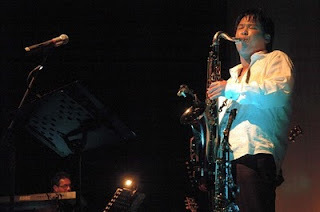 The Mesopotamian Night project in 2010 will celebrate the music of Sooren. With the permission of his daughter, Athena Alexander Betsamo, we have been given access to an unpublished book prepared by Rabi Essarhadoun Khofri, and Mr. Bellos Nisan. Thanks to tireless efforts of Mr. Noray Betbaba who sent us a copy of this book titled "A Selection of the Folkloric Dance Music of Assyrians of Iran and Other Creations of Sooren Alexander". This book contains sixteen pieces of folkloric dances and songs by Sooren Alexander. These pieces will be arranged and orchestrated for performance at Mesopotamian Nigh 2010 and upcoming other AAS-A events. One of the artists of this new generation was Sooren Alexander, a talented local musician who was gifted in the creation of new, folkloric pieces for the violin and accordion. 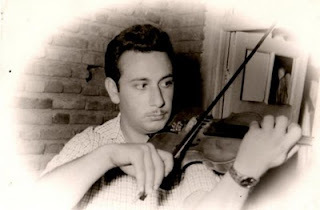 Known as one of the best contemporary Assyrian musicians since the beginning of his compositional career in 1949, his many pieces were based on pure folk music. His numerous Assyrian songs and dance compositions are filled with his feelings about his own experiences, things both seen and heard. His pieces take the listener on a journey through suspense and sweet dreams, anxiety and love. Sooren's creation are well-known throughout the Iranian artistic world, not only in Iranian Radio and Television productions, but also Iranians worldwide, and there are few who do not know of Sooren and his art. "The first step composing the music for Ninos and Shamiram is to imagine both of them as characters and vocal colours. Ninos must be a tenor, heroic and elegant ; Shamiram is a brilliant and sensual high soprano coloratura. Then, you have to cut the text into different parts, to plan recitatives, arias and duets, and build all the text as a true music piece. It’s a Pastorale. 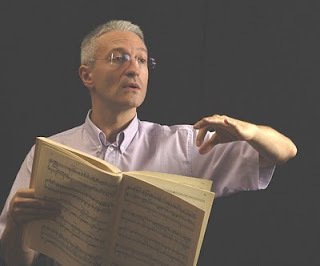 French baroque music was rich in this kind of piece for voices and instruments. The orchestra must take its place too. Shamiram’s orchestral colours are harp, celesta, strings and winds ; prince Ninos has brasses and deeper colours. I plan a brilliant virtuoso piece for Shamiram when she evocates the dove flying ; a “vocal firework” for coloratura soprano, I guess it could become the highlight piece of the Pastorale. It’s a real change after the epic Qateeni opera first act, with masculine colours." Mesopotamian Night project now is in its fourth year of operation. We have produced so far three important Assyrian cultural events. These events not only made significant contributions to the production, documentation and revival of Assyrian music in various forms (classical, opera, folklore and pop music) and promotion of Assyrian visual arts, but also raised over $165,000 in the span of three years for the humanitarian and cultural projects of Assyrian Aid Society of America. This an unprecedented success story and it has only been possible by hard work of our committee members, passionate contribution of our artists, and the generous support of our sponsors like yourself. Like last year, in this letter of appeal, I am going to give you a short progress report on the Mesopotamian Night project. I am hoping I can count on you again to remain our sponsor for 2010 concert which will be held in Modesto, California in Summer 2010. 1. Despite all the economic difficulties of 2009, Mesopotamian Night 2009 raised $35,000 for AAS-A general funds to be used directly on Education projects in Bet-Nahrin, Iraq. 2. We funded and completed two Assyrian folklore classical symphonic suites based on the composition works of the Assyrian composer Paulos Khofri. Suite No. 1 was performed and Suite No.2 to be performed in 2010. 3. We helped form a new choir group called “Mesopotamian Choir Ensemble”. This group performed three choir songs from Rabi Paulos Khofri and Rabi Nebu Issabey. These choir songs for the first time were performed with a fifty three piece symphony orchestra. 4. We added two more songs to our collection of William Daniel classical folklore music which were performed by Assyrian soprano Lorraine Davis. 5. We successfully kicked off the creation of the opera Qateeni and successfully premiered one act of this opera reviving the already forgotten epic poem master piece of William Daniel. 6. We continued work on the Assyrian opera Gilgamesh and premiered another scene from this opera. 7. By our support for the first time an Assyrian classical composer (Rev. Samuel Khangaldy) started the creation of a magnificent piece of Assyrian classical music called “Gilgamesh Oratorio”. The overture for this work was successfully performed in 2009. 8. For the first time in addition to attracting support from community resources (individuals and organizations), we managed to attract funding in the form of a two year grant from The James Irvine Foundation a well respected California based organization that supports creation of works of art, music and education by those organizations that make significant contribution to the life of people of California. 9. We managed to produce yet another DVD/CD product from our 2009 project which will help propagate the project throughout the world and enrich the artistic content of Assyrian TV and radio channels worldwide. This time we managed to attract the department of film and TV production of the Modesto Junior College to help us with this ambitious undertaking. 10. We continued working with our pop singers to bring better quality performances to the community. In 2009 Lida Lawando and Emanouel Bet Younan had the opportunity to represent the Assyrian pop music to our audience. Our project commissioned the orchestration and arrangement of their songs for a larger orchestra. 1. The string quartets of William Daniel have already been given to Assyrian musician Sam Madoo to be prepared for performance. 2. 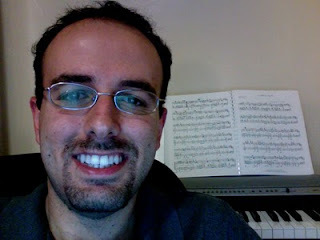 The music compositions of late Alexander Sooren (a total of sixteen pieces) which were initially documented and scored by Assurhadoun Khofri have been commissioned to another musician for orchestration and score preparation. 3. A new project is initiated for the creation of an Assyrian operetta based on the folkloric tales of Shamiram and Ninous documented by Rabi Yosip Bet Yosip as a poetry piece. 4. More Assyrian classical composers have joined the Mesopotamian Night project. In 2010 two new young composers will be introduced to our community. The Mesopotamian Night project already has motivated more Assyrian talents to produce new works of music as they see an opportunity for their work to be premiered. 5. We will continue the completion of two operas (Gilgamesh and Qateeni) and the Gilgamesh Oratorio hoping that at some point in future we would be able to produce full Assyrian operas. 6. We will add more to the collection of our choir songs. Two important works of Nebu Issabey including the historical “Mar Benyamin Shamon Oratorio” will be orchestrated and performed in 2010. 7. We will continue to produce more quality pop music by our renowned pop singers. This year we plan to mesmerize our audience with songs from 70s and 80s with new instrumental arrangements. Without contribution of our sponsors we cannot complete the above projects. It is critical that in the next three months we raise enough funds to complete all the composition and arrangement works. I am confident I can again count on your support and sponsorship. If you have any question you could contact me by my email tonykhoshaba@sbcglobal.net or my cell phone 209-606-5438. The donations could be sent to AAS-A Central Valley Chapter P. O. Box. 579843, Modesto, CA 95357. Please write in memo “MN2010 Sponsor”. Sam Madoo was born in 1974 in Iran. In Tehran he studied piano, music theory and harmony with Hanibal Yousef a talented Assyrian musician. Later on, he pursued his dream in California, by attending various music schools such as San Jose State University, Cal State San Bernardino, UC Riverside, and UC Irvine and received multiple degrees in Music Technology and Computer Music. He has recently been involved in live sound, recording, composition, production and post production for commercials and radio shows. AAS-A Central Valley Chapter is pleased to work with young Assyrian talents such as Sam Madoo for our upcoming projects.